The images used in the promos have been greatly reduced. Thumbnails of only some of the 103 Sea Element Graphics. 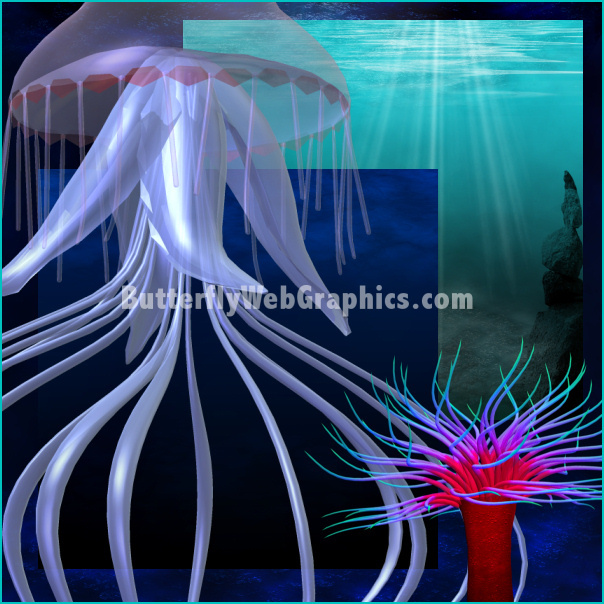 These graphics will help you create a realistic ocean scene. 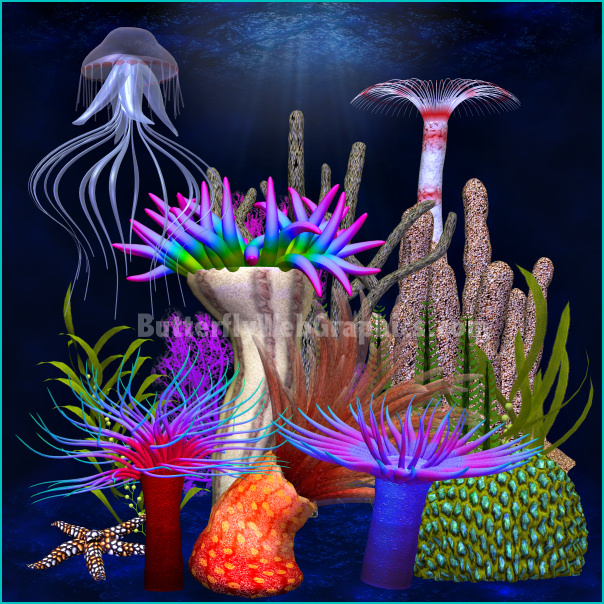 Decorate your ocean scene with this huge collection of colorful sea elements, includes jelly fish, corel, plants, and much more. Three underwater background scenes are also included that are 2000 X 2000 pixels. This is an awesome bunch of sea graphics. 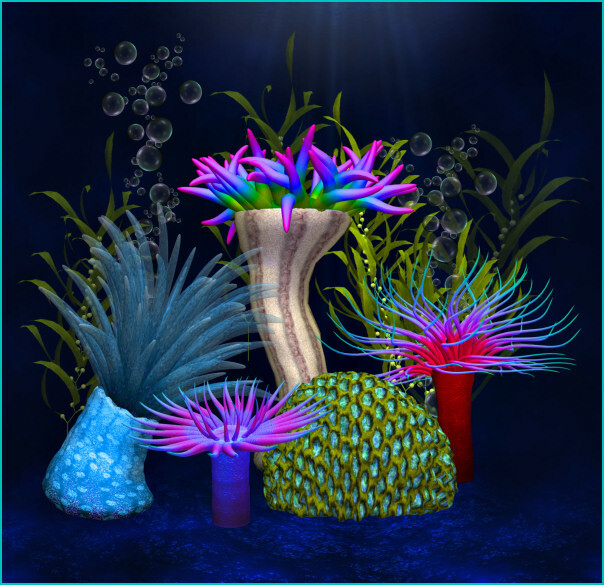 You can create a very realistic ocean scene with these many sea elements. And if you like these graphics, don’t miss our mermaid graphics. Update: I’m adding the seamless tile that I created for this page and a bubble graphic. If you’re a Paint Shop Pro user, you can tube the bubble to create cool bubbles in your scenes. There are 105 royalty free, high-quality clipart PNG images in this package. All of these images have transparent backgrounds (except for the background scenes) making it easy for you to use them as tubes or nozzles–or merely to drop into your design. Perfect for web design, template design, graphic design, t-shirt design, candy wrappers, scrapbook design, print transfers, DIY crafts, card making, embroidery designs, fabric blocks, address labels, business cards, newsletters, stationery, invitations, banners, crafts you print, paper projects, digital stamps, notelets, stickers, note cards, signature tags, and more. Please read my terms to learn more. This package is three zip files, which are about 41-51 MB each.